"There is a digital transformation coming at us nowadays in the form of an evolution of technology - social, mobile, analytics, the cloud, and the Internet of Things just to name a few. By themselves, none of these creates issues. However, the confluence of these technologies has changed the way we think about doing business, and what makes up this digital transformation. Companies who simply adapt their technology to the way they do business are missing the boat. Leading-edge businesses are instead adapting their businesses to the capabilities these technologies provide. 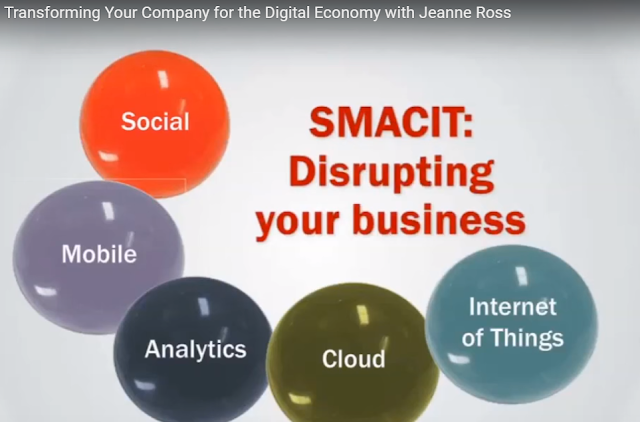 In this webinar, recorded on February 4, 2016, MIT Sloan Executive Education's Jeanne Ross discusses digital disruption to help companies articulate and implement a forward-thinking digital strategy. Through presentation of recent research and case examples, you will learn why a great operational backbone is a necessity for companies in this era of constantly changing technology." To see some exceptional coherent indications, we should visit displays of science and should convey our kids with us as well. We can useful link careful about science's stand-out things by visiting display corridors and can see entrancing and some superb things there.